As the scholar Emma Norman explains in her book Governing Transboundary Waters, indigenous communities are actively engaged in the respectful governance, protection and preservation of water in the US-Canadian borderlands. Among them is the Yukon River Inter-Tribal Watershed Council, which represents 73 First Nations and Tribes in the management of the longest free-flowing river in the world. The cry ‘mni wiconi’ (water is life) and the self-designation of the anti-Dakota Access Pipeline protesters as ‘water protectors’ helped raise awareness not just about the threat from pipelines but about the central importance of water in indigenous life and identity. Yet, there is a much larger tradition of celebrating the life sustaining power of water in the northern indigenous borderlands: Water Walks. These quiet acts seek to heal our imbalanced relationship with nature and deserve much greater attention. For they hold promise for the future of our planet. 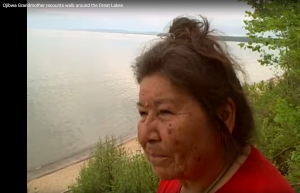 Josephine Mandamin, an Anishinaabe grandmother took on a sacred walk with a copper pail of water in one hand and a staff in the other. 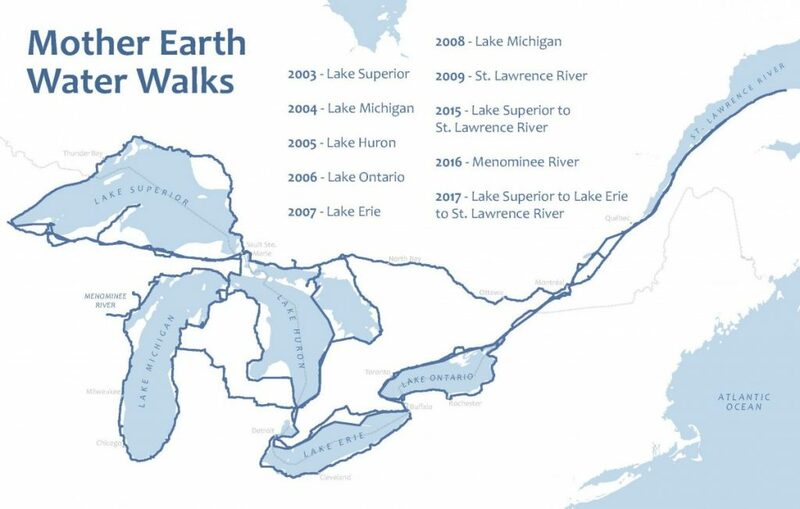 She traversed over 10,900 miles around each of the Great Lakes. She is known as the “Water Walker.” Click the image below for a video interview.